A big thank you to Dr. Scott Bennett for this remark; I’ve never felt so compelled to take a quote out of context. Professor Bennett’s comment was included in the Chronicle of Higher Education article Snacks in the Stacks: Libraries Welcome Food Amid the Books. Believe it or not, I don’t have particularly strong feelings about eating and drinking in libraries. However, I thought it would be fun to hear from fellow librarians about their encounters with food in the library. Please add your stories in the comments! This entry was posted in libraries on May 21, 2008 by Jason. 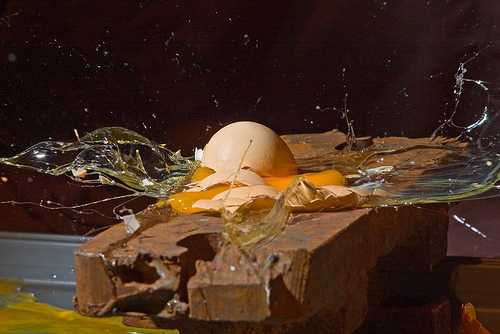 Thanks to engineer & photographer Jasper Nance for her high speed image “egg drop”. This started out as a post about Edith Poston. But the internet kept steering me toward other work people have created with and about eggs. I think Mrs. Poston would have approved. Mrs. Poston collected eggs for more than 30 years. After her death in 2005, she left over 300 eggs to the Gaston County Museum, near her home in North Carolina. The collection includes eggs from at least three continents. 19th century Bristol glass eggs, ostrich eggs, Russian Fabergé-style eggs, porcelain, metal, and more. On February 5th, the Gaston County Museum opened the first of three annual exhibits from the Poston egg collection. I spoke with the museum’s curator, Aimee Russell, to learn a bit more about the collection. But I found that I was even more interested in this woman who spent 30 years collecting eggs. I wish I knew more about her. And I wish she had a presence online; she’s a great example of why the internet is great. For any interest, there exists a community of interest. I feel confident that if Mrs. Poston had been online, she’d have found a lot of people that shared her interest in eggs. Next year’s exhibit will be on the cultural significance of eggs, a subject on which Mrs. Poston lectured. 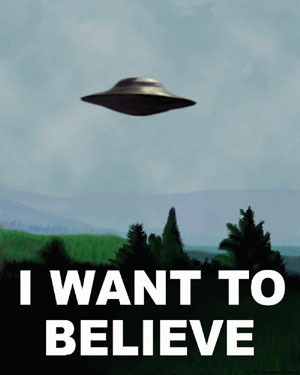 (Ms. Russell is checking on possibly getting me access to the unpublished manuscript from that talk). Thinking about eggs reminded me of other works about eggs. I thought about Eggs, the poem by Susan Wood I read in high school. Somehow I didn’t remember that it’s a really intense, turbulent poem. I also thought about One Hundred Ways of Cooking Eggs, a book published by Alexander Filippini, the chef at Delmonico’s in 1892. I remember seeing this book at the Clements Library. The Schlesinger Library’s copy has been scanned, and it’s available in full text. For some primary source material on Delmonico’s, check out menus from the NYPL Buttolph Menu Collection. And finally, I’d like to mention Hervé This. A mutual friend of science and mine sent a Make Magazine Blog Post on Hervé This entitled the Man Who Unboiled an Egg. I thought I had better mention him in this post too. That’s about all the thoughts about eggs I can muster. I trust you’re appropriately grateful that I summoned the strength to forgo comments about hatching ideas, things that are eggcellent, etc. 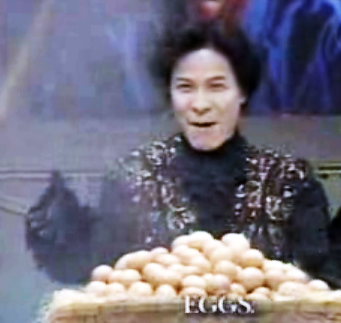 Perhaps you will enjoy the Iron Chef Egg battle, while it’s still up on YouTube. This entry was posted in cook books, exhibits, libraries, menus on February 24, 2008 by Jason. I was very glad I went to From the Farm to Your Fork. The panelists represented a fascinating array of backgrounds, the farmer, the chef, the dietitian, the scientist. Their talks were thought provoking and inspiring. During the Q&A, it became apparent that I was not alone in wanting to be convinced that small-scale, local farms are better for our health, communities, and environment, with effects from local to global and for people of every demographic. Although the audience was literally a Pollan-waving bunch, (you’ll see) there were undoubtedly a lot of university types. (I mean, it’s Ann Arbor, throw a rock hit a post-doc. At one point I wanted to test that hypothesis, but I couldn’t get it through IRB) I think a lot of people who are sympathetic to this cause crave evidence, research, data. Thoughts? The Ann Arbor District Library is bringing together an incredible panel to discuss eating local. Alex Young, Chef at Zingerman’s Roadhouse and 2007 James Beard Foundation Nominee for Best Chef : Great Lakes. (No, that’s not him in the picture. That’s the windy city’s molecular gastronomic golden boy, Grant Achatz. Here, here’s Kitchen Chick’s great piece on Chef Alex Young. Professor Catherine Badgley. A biologist, she teaches Food, Land and Society at the University of Michigan and lists agriculture and biodiversity among her chief research interests. I can’t wait to see her, she sounds totally awesome. Annie Elder & Paul Bantle, local farmers who run a biodynamic farm, which, i think means that the farm is ethical enough to win the approval of Al Gore, Captain Planet and St. Francis of Assisi. Ruth Blackburn, a nutritionist who has been working to educate people about food, health and community as a nutrition specialist for the University of Michigan. Here’s an article she wrote for Cooperative Grocer on the importance of co-op staff knowing nutrition. This entry was posted in lectures, libraries on February 16, 2008 by Jason. This entry was posted in lectures, libraries on January 30, 2008 by Jason.